Galileo Galilei moved on to the University of Padua. By 1593, he was desperate in need of additional cash. His father had died, so Galileo was the head of his family, and personally responsible for his family. Debts were pressing down on him, most notably, the dowry for one of his sisters, which was paid in installments over decades (a dowry could be thousands of crowns, and Galileos annual salary was 180 crowns). Debtors prison was a real threat if Galileo returned to Florence.What Galileo needed was to come up with some sort of device that could make him a tidy profit. A rudimentary thermometer (which, for the first time, allowed temperature variations to be measured) and an ingenious device to raise water from aquifers found no market. He found greater success in 1596 with a military compass that could be used to accurately aim cannonballs. A modified civilian version that could be used for land surveying came out in 1597, and ended up earning a fair amount of money for Galileo. It helped his profit margin that 1) the instruments were sold for three times the cost of manufacture, 2) he also offered classes on how to use the instrument, and 3) the actual toolmaker was paid dirtpoor wages. A good thing. Galileo needed the money to support his siblings, his mistress (a 21 year old with a reputation as a woman of easy habits), and his three children (two daughters and a boy). 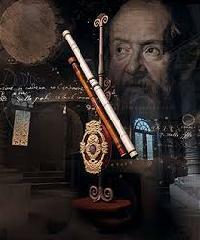 By 1602, Galileos name was famous enough to help bring in students to the University, where Galileo was busily experimenting with magnets.In Venice on a holiday in 1609, Galileo Galilei heard rumors that a Dutch spectaclemaker had invented a device that made distant objects seem near at hand (at first called the spyglass and later renamed the telescope). A patent had been requested, but not yet granted, and the methods were being kept secret, since it was obviously of tremendous military value for Holland. Months passed, and his telescopes improved. 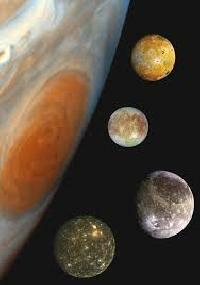 On January 7, 1610, he turned his 30 power telescope towards Jupiter, and found three small, bright stars near the planet. One was off to the west, the other two were to the east, all three in a straight line. The following evening, Galileo once again took a look at Jupiter, and found that all three of the stars were now west of the planet, still in a straight line. Observations over the following weeks lead Galileo to the inescapable conclusion that these small stars were actually small satellites that were rotating about Jupiter. If there were satellites that didnt move around the Earth, wasnt it possible that the Earth was not the center of the universe? Couldnt the Copernican idea of the Sun at the center of the solar system be correct. 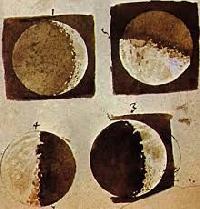 Galileo Galilei published his findingsas a small book titled The Starry Messenger. 550 copies were published in March of 1610, to tremendous public acclaim and excitement. And there were more discoveries via the new telescope: the appearance of bumps next to the planet Saturn (Galileo thought they were companion stars; the stars were actually the edges of Saturns rings), spots on the Suns surface (though others had actually seen the spots before), and seeing Venus change from a full disk to a sliver of light. For Galileo Galilei, saying that the Earth went around the Sun changed everything since he was contradicting the teachings of the Church. 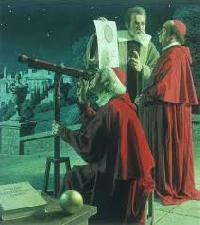 While some of the Churchs mathematicians wrote that his observations were clearly correct, many members of the Church believed that he must be wrong.In December of 1613, one of the scientists friends told him how a powerful member of the nobility said that she could not see how his observations could be true, since they would contradict the Bible. The lady quoted a passage in Joshua where God causes the Sun to stand still and lengthen the day. How could this mean anything other than that the Sun went around the Earth. Galileo Galilei was a religious man, and he agreed that the Bible could never be wrong. However, he said, the interpreters of the Bible could make mistakes, and it was a mistake to assume that the Bible had to be taken literally.This might have been one of Galileos major mistakes. At that time, only Church priests were allowed to interpret the Bible, or to define Gods intentions. It was absolutely unthinkable for a mere member of the public to do so.And some of the Church clergy started responding, accusing him of heresy. Some credits went to the Inquisition, the Church court that investigated charges of heresy, and formally accused Galileo Galilei. This was a very serious matter. In 1600, a man named Giordano Bruno was convicted of being a heretic for believing that the earth moved about the Sun, and that there were many planets throughout the universe where lifeliving creations of Godexisted. Bruno was burnt to death.However, Galileo was found innocent of all charges, and cautioned not to teach the Copernican system. 16 years later, all that would change. The following years saw Galileo move on to work on other projects. With his telescope he watched the movements of Jupiters moons, wrote them up as a list, and then came up with a way to use these measurements as a navigation tool. There was even a contraption that would allow a ship captain to navigate with his hands on the wheel. That is, assuming the captain didnt mind wearing what looked like a horned helmet.As another amusement, Galileo started writing about ocean tides. Instead of writing his arguments as a scientific paper, he found that it was much more interesting to have an imaginary conversation, or dialogue, between three fictional characters. One character, who would support Galileos side of the argument, was brilliant. Another character would be open to either side of the argument. The final character, named Simplicio, was dogmatic and foolish, representing all of Galileos enemies who ignored any evidence that Galileo was right. Soon, he wrote up a similar dialogue called Dialogue on the Two Great Systems of the World. This book talked about the Copernican system. Dialogue was an immediate hit with the public, but not, of course, with the Church. The pope suspected that he was the model for Simplicio. 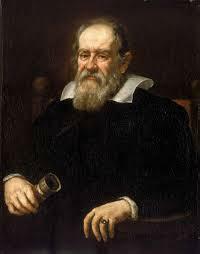 He ordered the book banned, and also ordered the scientist to appear before the Inquisition in Rome for the crime of teaching the Copernican theory after being ordered not to do so.Galileo Galilei was 68 years old and sick. Threatened with torture, he publicly confessed that he had been wrong to have said that the Earth moves around the Sun. Legend then has it that after his confession, Galileo quietly whispered And yet, it moves.Unlike many less famous prisoners, he was allowed to live under house arrest in his house outside of Florence. He was near one of his daughters, a nun. Until his death in 1642, he continued to investigate other areas of science. Amazingly, he even published a book on force and motion although he had been blinded by an eye infection. 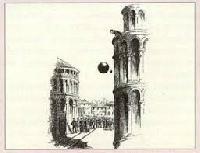 In Galileos lifetime, all celestial bodies were thought to orbit the Earth. Supported by the Catholic Church, teaching opposite of this system was declared heresy in 1615.Galileo, however, did not agree. His research including his observations of the phases of Venus and the fact that Jupiter boasted moons that didnt orbit Earth supported the Copernican system, which (correctly) stated that the Earth and other planets circle the sun.In 1616, he was summoned to Rome and warned not to teach or write about this controversial theory. But in 1632, believing that he could write on the subject if he treated it as a mathematical proposition, he published work on the Copernican system. He was found guilty of heresy, and was placed under house arrest for the remaining nine years of his life. Galileo died in Arcetri, near Florence, Italy, on January 8, 1642, after suffering from a fever and heart palpitations. But in time, the Church couldnt deny the truth in science. In 1758, it lifted the ban on most works supporting Copernican theory, and by 1835 dropped its opposition to heliocentrism altogether. 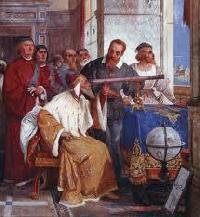 In the 20th century, several popes acknowledged the great work of Galileo, and in 1992, Pope John Paul II expressed regret about how the Galileo affair was handled. Galileos contribution to our understanding of the universe was significant not only in his discoveries, but in the methods he developed and the use of mathematics to prove them. He played a major role in the scientific revolution and, deservedly so, earned the moniker The Father of Modern Science.